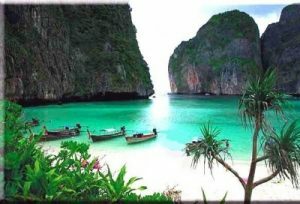 Phuket Thailand is a lush tropical island blessed with spectacular coves, bays and palm-lined beaches. Among the islands of Thailand, this is the largest. With the various water-sports, museums and attractions there, boredom is not an option; you are sure to find something to enjoy. From relaxing on a beach to the outrageous, the range of attractions & activities is intriguing. Phang Nga Bay is one of the most popular places in Phuket Thailand to explore. One well known feature of Phang Nga are the vertical limestone karsts that rise out of the emerald-green water. 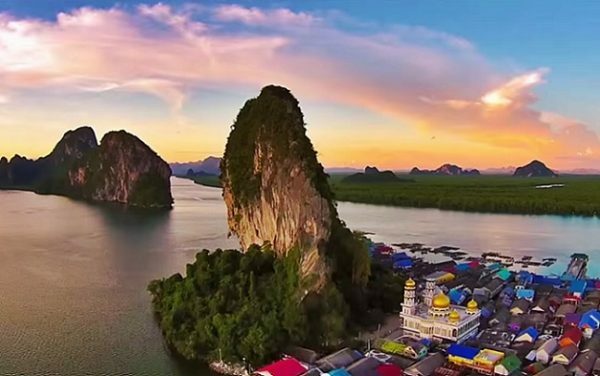 Other prominent landmarks include Koh Panyee and James Bond Island. There are different ways to see the bay including kayaks, yacht or a Chinese Junk. Regardless of the transportation selected, you wont be disappointed with the view and the memories. Koh Panyee is a village of sea-faring descendants, who’s village has become well-known internationally. This is a complete Muslim village built on stilts; it has medical faculties, a school, mosque and a police station. After a twenty minute boat ride to Koh Panyee, you will have the chance to walk around and visit the souvenir shops there. In fact, when tourist are around, the residents barely acknowledge their presence. Koh Panyee is a community full of life, offering plenty of photographic opportunities to see life though the eyes of the people. Old Phuket is a historically rich section of town where you will find Chinese and Buddhist shrines & temples . The core of Old Phuket is made up of five roads and several smaller streets. When there you will see well preserved shop-houses, quaint cafes and printing shops. Phuket Thailand Old Town was built during the tin boom of the last century. While there you will also see grandiose mansions once occupied by the tin barons of the day. This is a great way to get in touch with the historical past of Phuket Thailand. Big Buddha is one of the most important and respected landmarks in Phucket Thailand. The statue sits on Nakkerd Hill; at 147 feet high it is visible from afar. In addition, the site offers the best panorama views of the island. When visiting Phuket Thailand, this is a must see attraction. 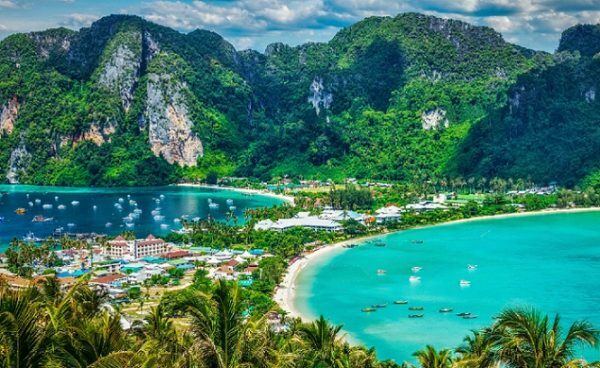 One of the most popular destinations among the Thai islands is Phi Phi. It has been featured in movies and for some it’s the only reason to visit Phuket. When approaching the island, you will see sheer cliffs towering overhead. Once you are there you will appreciate the relaxed feel. Of the two islands one is uninhabited and the other is without roads. If you want to escape the rat race, this place awaits you. Soi Bangla is the heart of the nightlife on Phuket; when the sun goes down, Bangla awakens. For the visiting tourism, this place is worth a look. On Bangla, friendly girls will encourage you to buy a drink and play some bar games. Famous for its wild nightlife, this place goes all out to entertain with girls, liquor and loud music. With trapeze artist, elephants and a cast of hundreds, Phuket FantaSea is the island’s greatest show. When its all put together the storyline blends tradition and fantasy together for a spectacular show. But the fun doesn’t stop there; FantaSea also hosts one of the largest buffets in Asia; in addition, it is set in a theme park that offers carnival games. For the shopaholic there is shopping too. To sum it all up FantaSea is spectacular and great entertainment Phuket Thailand style.